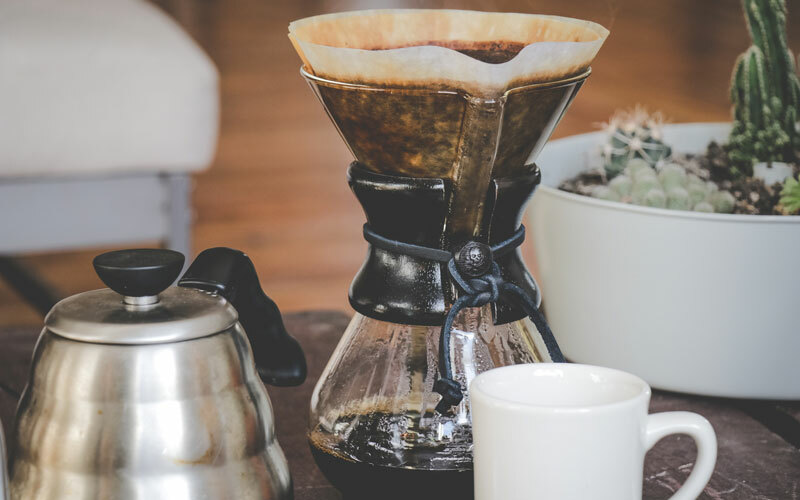 The Chemex is one of the most classic and efficient ways to make a strong cup of coffee. Invented in 1941 by Dr. Peter Schlumbohm, this hourglass-shaped brewer comes with special filters that allow for a perfectly steeped pot that. Not only does is the Chemex an excellent way to brew, it also looks really great on a countertop — it's even in the permanent design section of the Museum of Modern Art in New York City. 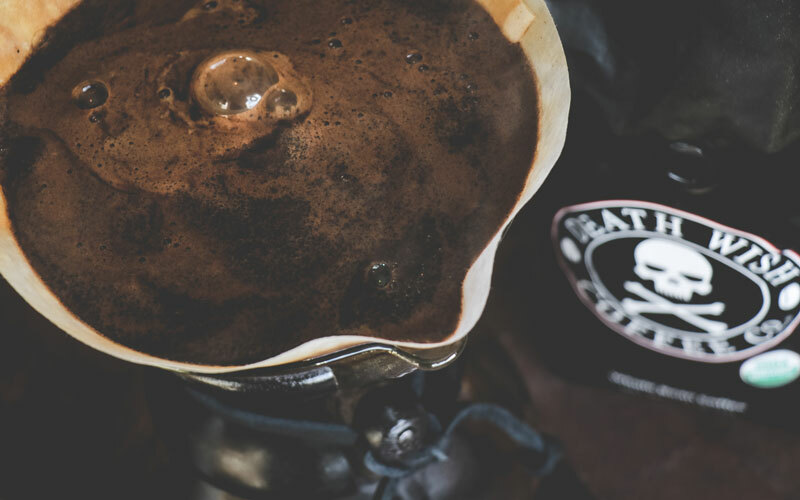 Brewing coffee in a Chemex gives you a strong, delicious cup of coffee full of flavor notes without the bitter aftertaste. 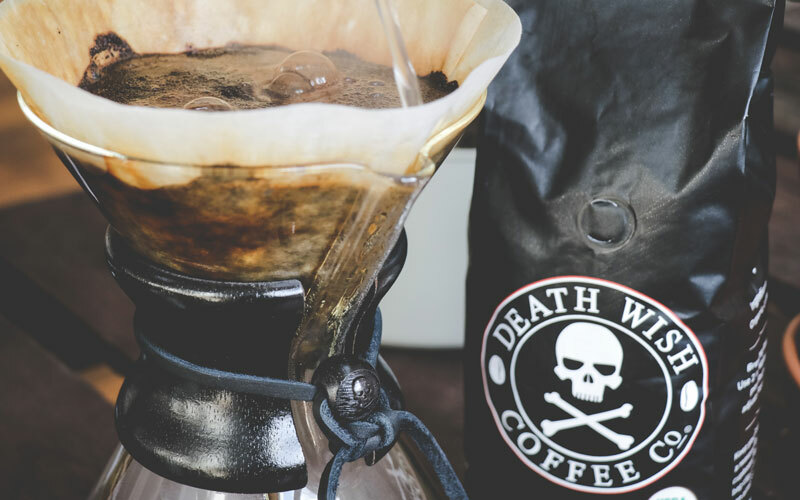 At Death Wish, it's one of our favorite brewing methods. Looking for a Chemex bundle that includes a Chemex, coffee, filters, and a coaster? We've got you covered. Grind Coffee. 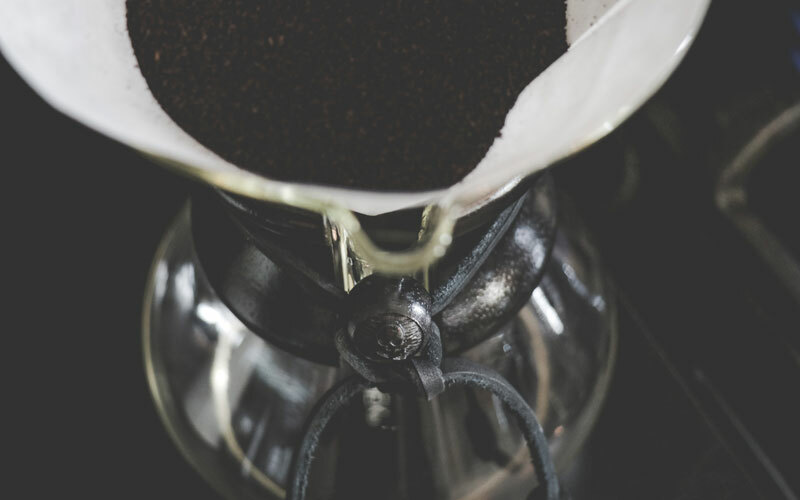 Coffee used in a Chemex should be ground coarse — it will have the same consistency of sea salt. To do this, grind coffee in your grinder for between 6 and 9 seconds. Chemex filters are thick so a fine grind would slow down the filtration process. 2 Heat water. Bring water to 195 degrees Fahrenheit. Water should be just below boiling. 3 Wet filter. Wet the filter with warm water takes out the wood taste. 4 Add coffee. Add two tablespoons of coffee for every 6 ounces of water used. For a 6-cup brewer, we recommend about 20 ounces of water and 8 tablespoons of coffee. 5 Wet coffee. Completely submerge coffee grounds and wait 30 seconds. This allows the coffee to bloom (you'll see bubbles), releasing gases and giving you the best flavor. 6 Brew coffee: In a slow, circular motion from the outside ring to the inside, slowly pour water over the coffee. 7 Remove filter. After about 4 minutes (when the water has completely filtered through), dispose of the filter. 8 Enjoy! 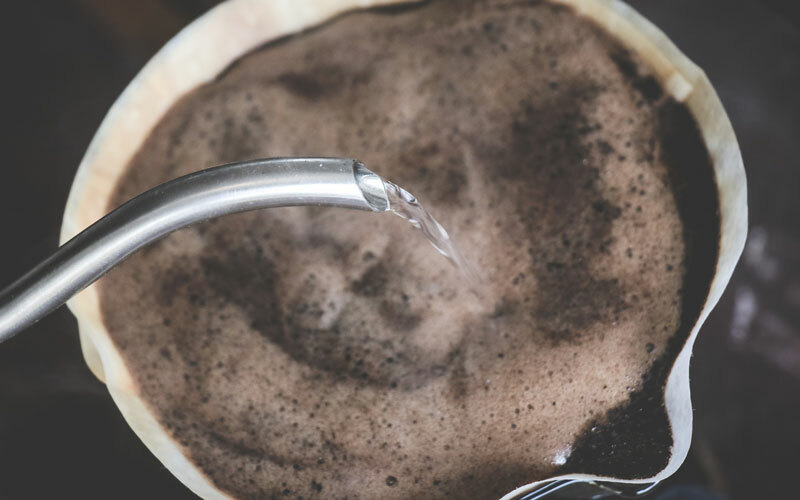 Holding the wood collar of the Chemex, pour into your favorite mug and enjoy. We recommend using a Gooseneck kettle for the most precise pour possible. If you don't have a thermometer, allow the water to come to a boil, take it off heat, and wait about a minute and a half. This will bring you right around 200 degrees.